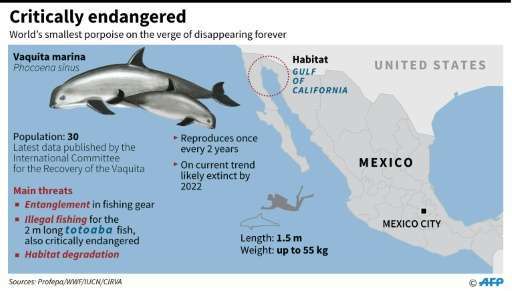 Mexico's vaquita marina is edging closer to extinction as scientists warned Wednesday that only 30 were left despite navy efforts to intercept illegal fishing nets killing the world's smallest porpoise. "The already desperate situation has worsened, despite existing conservation measures and current enforcement efforts," said the report by the International Committee for the Recovery of the Vaquita (CIRVA). "At the current rate of loss, the vaquita will likely decline to extinction by 2022, unless the current gillnet ban is maintained and effectively enforced." An analysis of acoustic data from the upper Gulf of California in northwestern Mexico found that, as of November, only about 30 vaquitas likely remained in their habitat, the report said. A previous census between September and December 2015 had found around 60 vaquitas. There were 200 of them in 2012 and 100 in 2014. Authorities say the vaquitas have been dying for years in gillnets that are meant to illegally catch another endangered specie, a large fish called the totoaba. Smugglers ship the totoaba's dried swim bladder to China, where it fetches tens of thousands of dollars and is eaten in soup. Known as the "panda of the sea" because of the dark rings around its eyes, the 1.5-meter (five-foot) cetacean has rarely been seen alive. In a possibly last-ditch effort to save the vaquita, scientists plan, after getting government approval, to capture specimens and put them in an enclosure in the Gulf of California where they can reproduce. Some environmentalists oppose this because of the risk that vaquitas, which only exist in the Gulf of California, could die in the process. "Illegal fishing continues and if we don't capture them, they will die anyway," CIRVA chairman Lorenzo Rojas-Bracho told AFP. CIRVA recommends "urgently" locating and putting vaquitas in a temporary sanctuary this spring, and keep them there for up to one year. Rojas-Bracho said the program could begin in the fall, around October. Their capture would take place in a staged manner, which will be reviewed by CIRVA at appropriate intervals, with the option of stopping it if necessary. Vessels, small aircraft and dolphins trained by the US Navy could be used to locate vaquitas, which could be caught with a light salmon gillnet and then taken to a shore-based enclosure with fences. Four possible sites are being considered. But CIRVA acknowledges that "capturing and housing vaquitas will be difficult, and perhaps impossible, and the species may not prove to be suitable for such conservation actions." "Many questions still need to be resolved. 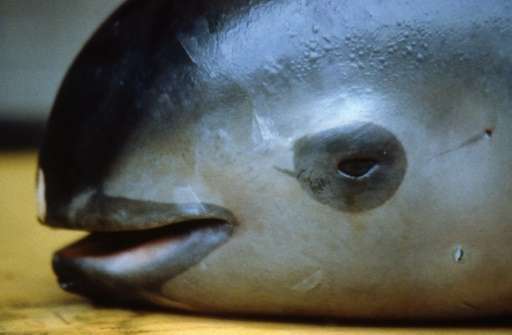 Importantly, it is unclear whether vaquitas can be captured safely, or how they will react to handling, transport, and confinement." One CIRVA member disagreed with the plan, "believing that there are too many unknowns and maybe some 'unknowables' surrounding the plan," the report said. President Enrique Pena Nieto deployed the navy in 2015 to stop illegal fishing, increased the vaquita protection area and imposed a two-year ban on gillnets. Drones joined the effort last year. But the high levels of illegal fishing, the discovery of three dead vaquitas last year and the population's decline "demonstrate that present enforcement efforts have been insufficient," CIRVA said. 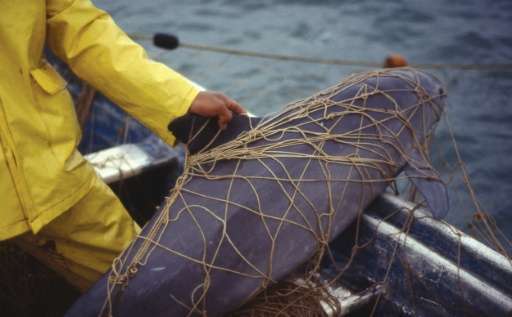 The committee called for a permanent ban on all gillnets and that their sale or possession on land in the vaquita region be made illegal, as well as "more vigorous efforts to prosecute" totoaba smulggers or anyone connected with illegal fishing. During 15 days in October and November last year, 105 pieces of illegal, abandoned or derelict fishing gear were found and 85 were removed, the new report said. "This shows that illegal fishing activities, particularly the setting of large-mesh gillnets for totoaba, continue at alarming levels within the range of the vaquita (habitat)," the report said. CIRVA said the government should speed up efforts to teach alternative fishing methods to local fishermen. Pena Nieto earmarked $70 million to help fishermen during the ban.